The Plotkin Inquiry: IP and Tech Law Review: Copyright in Databases? Can one have copyright in a database? For those familiar with the law, it is clear that raw data itself is not protected by copyright. If it were, the phonebook (or whoever else was “first to fix” my information) would have a copyright on my name, address and telephone number. 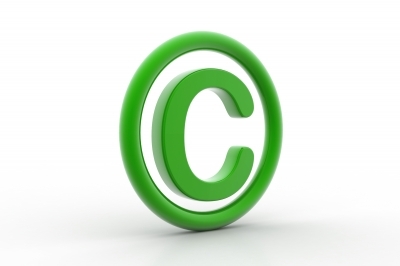 Databases are considered “compilations” under copyright law. Both the Canadian and American Copyright Acts grant copyright protection to the compiler. Section 2 of the Canadian act defines a compilation as: “a work resulting from the selection or arrangement of literary, dramatic, musical or artistic works or of parts thereof, or a work resulting from the selection or arrangement of data” (Emphasis added). This means that the data collected in the database need not be original or creative. A list of names and numbers may be eligible for protection as a compilation. The copyrightable element of the work is the “selection and arrangement” on the part of the compiler. For example, last year, Professor Michael Geist put together a collection of scholarly, peer-reviewed articles on Canadian copyright and the (then) new bill C-32 (electronic version available free at the above link). Each chapter comprised a paper written by a different academic. Some of the articles contain a very short forward by Geist. In this case, professor Geist has copyright in the compilation. Though he didn’t write the majority of the collection, he was the organizer (or to use the terms of the law the “selector and arranger”) of the content. How much creativity or effort a person must put into this selection process is not readily discernable. In the 1991 American Supreme Court decision known commonly as Feist, the principles of which have been adopted in Canada, the court solidified the applicable test in an effort to demystify this standard. Is the material (selection and arrangement) copyrightable in favour of the compiler? Has the defendant reproduced an infringing amount of the copyrightable material? The answer to the first question varies from one jurisdiction to another. There are essentially two competing doctrines to determine the copyright-ability of a work: the “creativity” approach and the “sweat of the brow” approach. In jurisdictions like Australia and the UK, a compiler will be granted copyright in their database if they dedicated a substantial amount of time, money and/or resources to its completion. This has largely been the Commonwealth tradition of which Canada is historically a part. The creativity approach demands that the person claiming copyright in their database demonstrate that they exercised a minimal amount of creative energy in selecting and arranging the data. This is the approach held up in Feist which had to do with a telephone directory. In that case, the appellant Feist was a company whose business it was to compile large telephone directories from smaller local directories. The plaintiff, Rural, sued Feist for copyright infringement and lost due to there having been no originality whatsoever exercised by them in the selection and arrangement of their data. The court tells us that originality (by way of creativity) has always been the cornerstone of copyright in the US. That being said, the threshold for creativity is very low. One must simply demonstrate a spark of originality. For example, alphabetically listing the names and phone numbers of everyone living in a geographical area is totally unoriginal. However, perhaps a register of restaurants in a designated geographical area listed by style or genre would be eligible. To pass the creativity test, it is unnecessary that the compiler show true novelty or non-obviousness as in patent law. They must simply show that “spark” the court speaks of so romantically. As mentioned above, Canada has historically followed its commonwealth roots and the “sweat of the brow” approach. However, the precedent setting Canadian case in this area shows great consistency with the American approach. In Tele-Direct v. ABI, the Federal Court of Appeals upheld the Trial Court’s decision that the elements of Tele-Direct’s Yellow Pages directory were not in themselves sufficiently original. While ABI admitted from the outset that Tele-Direct had copyright in the overall compilation, the court found that insufficient originality was exercised in the selection and arrangement of the “sub-categories” (the information in each individual listing). ABI didn’t copy the overall form of Tele-Direct’s Yellow Pages; they simply copied the data in the individual listings, which were themselves, not organized or arranged in a sufficiently original manner to be worthy of copyright protection. intellectual creations, shall be protected as such” (emphasis added). He further purports that the intention in defining compilation this way was likely to coincide with the definition given in the 1976 US Copyright Act: “A ‘compilation’ is a work formed by the collection and assembly of pre-existing materials or of data that are selected, coordinated, or arranged in such a way that the resulting work as a whole constitutes an original work of authorship. The term ‘compilation’ includes collective works.” (emphasis added). In the EU, databases benefit from the protection of two legislative regimes. As in North America, database creators in Europe may avail themselves to regular copyright protection. They may also make use of the “European Database Directive” (DIRECTIVE 96/9/EC). This Sui Generis regime doesn’t require the database creator to have invested any level of creativity or originality in his work. qualitatively and/or quantitatively a substantial investment in either the obtaining, verification or presentation of the contents to prevent extraction and/or re-utilization of the whole or of a substantial part, evaluated qualitatively and/or quantitatively, of the contents of that database.” (emphasis added). This regime clearly endorses the “sweat of the brow” approach. Though some may disagree with this standard, the Directive comprises another provision that is by far more controversial and altogether unsettling. This essentially means that by making simple alterations, additions or subtractions of content or structure, the term resets for another 15 years. This amounts to what is clearly “evergreen” protection for databases in the EU. While this directive has been going strong in Europe for the past 15 years, neither the US or Canada have enacted similar legislation, most likely because they aren’t convinced it’s necessary to do so. As the EU continues to distinguish itself in the area of database protection, the west seems to be coming together. Though originality with reference to copyrightable works is constitutionally mandated in the US (Article 1, section 1, clause 8), no such Constitutional obligation exists in Canada. That being said, both international agreements and the interest of uniformity have seen Canada and the US align closely on the judicial treatment of copyright in databases. It is my belief that with the monumental growth of cloud computing and online data storage, congruity in this area may prove beneficial to the attraction of American companies who wish to be certain that they may obtain Canadian copyright in their property. Labels: Canada, compilation, copyright, copyright in database, databse, E.U., EU database directive, NAFTA, TRIPs, U.S.